Fayetteville Towing Company has been in existence for more than 30 years now and still going strong. We started with one towing vehicle and now we have a fleet of them. This means we’re able to provide services to more people in need. When you need a tow company that is responsive to your needs, you can always count on us. Our drivers take notice of what motorists need and they know how to provide you with efficient help. We choose our drivers based on their skills and ability. They can effectively handle the job that you have for them, easy or complex. You’ll never have to worry about our trucks breaking down since they are serviced regularly and kept in working condition. We offer vehicle towing service Fayetteville NC visitors and locals can truly depend on. ​We’re committed to your needs and make every effort to satisfy them. This involves our training our drivers to address every facet of the towing business. 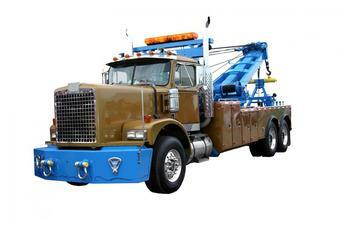 Knowing more than just how to hitch your vehicle up to a tow truck and transporting it needed. It involves being able to handle some mechanical aspects of the job. We’re proud of all that we are able to handle for motorists. Even if there is a large truck that requires towing, you can count on us to be able to handle this for you. With the amount of years we’ve been in the business and the amount of experience that our drivers have, we are confident that we can address the demands of everyone who calls on us for help.